Great steering and handling. Revvy 1.0 Boosterjet engine. Excellent 6-speed auto. 97g/km mild hybrid. A joy to drive. Back seatbacks fold, but not flat. Room for a spare but not standard. 5-speed manual gearlever has long throw. Satnav does not show speed limits. Complaint that paint is very thin on Suzuki Swifts. Owner reports light scratching and paint wearing away on B pillar beside driver's seat from driver getting in and out. 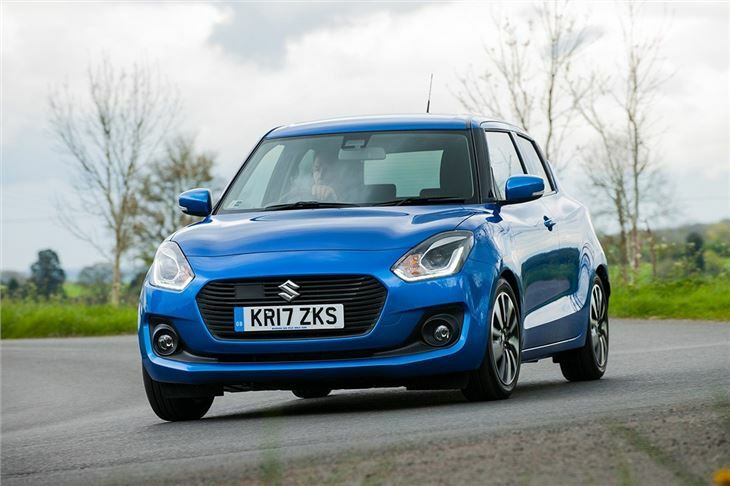 With agile handling, eager yet economical engines, generous levels of equipment and sensible pricing, the Suzuki Swift is a great car. It’s practical and well made, but it doesn’t feel quite as plush or substantial as a SEAT Ibiza. 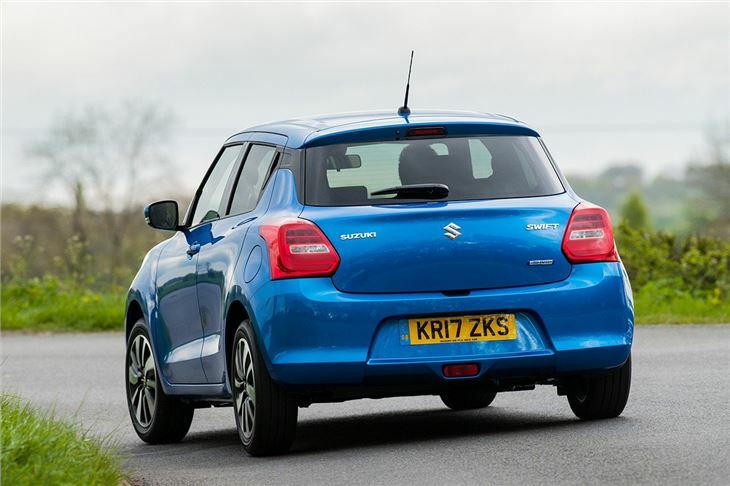 Even so, it’s still one of our favourite hatchbacks. 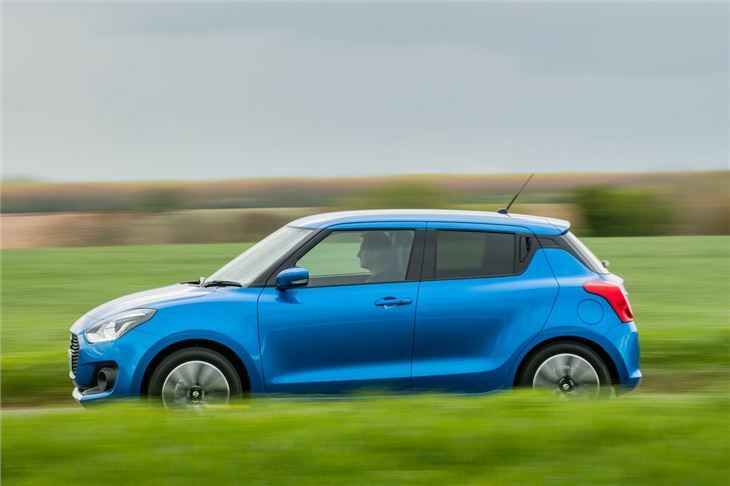 It might look chunkier than the old Swift, but the new car is actually more or less the same size – so it’s at home on tight city streets and in multi-storey car parks. But it’s just as happy on a country road, with precise steering loads of traction and great handling, thanks in part to its very lightweight design. There are two engine options – a 90PS 1.2-litre DualJet petrol, as seen in the previous Swift, and a 111PS 1.0-litre BoosterJet petrol. The 1.2 is revvy and enjoyable, but the BoosterJet is even better, with the same free-revving character plus an added injection of punchy, mid-range torque and excellent fuel economy. Rear head and leg room is surprisingly decent, with room for a pair of adults if the front seat occupants aren’t too tall. 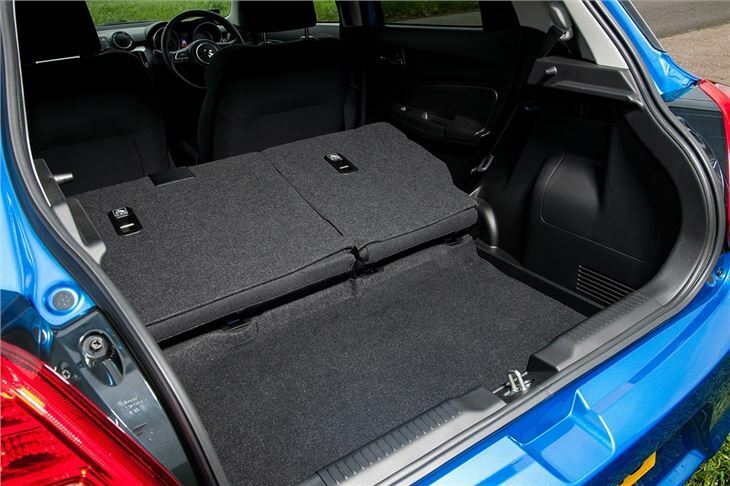 The 265-litre boot capacity isn’t huge, but it’s plenty for shopping and the rear seat backs fold down for some extra space – although not completely flat. 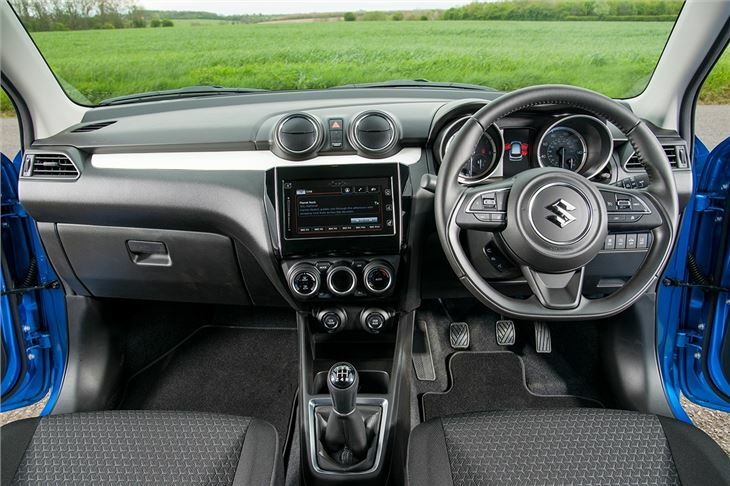 Standard equipment includes air conditioning, Bluetooth and DAB radio, but we’d go for a mid-spec SZ-T to gain alloy wheels, better infotainment, a reversing camera and the excellent BoosterJet engine. 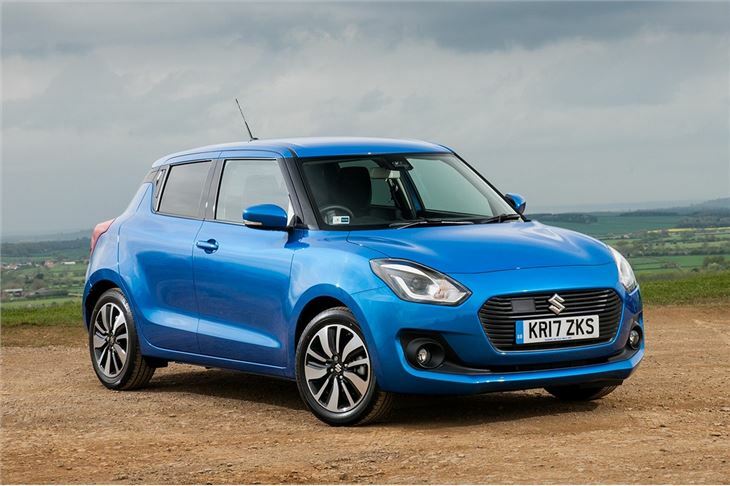 But even top-spec SZ5 models are well priced and come with the option of an automatic transmission and even all-wheel drive. 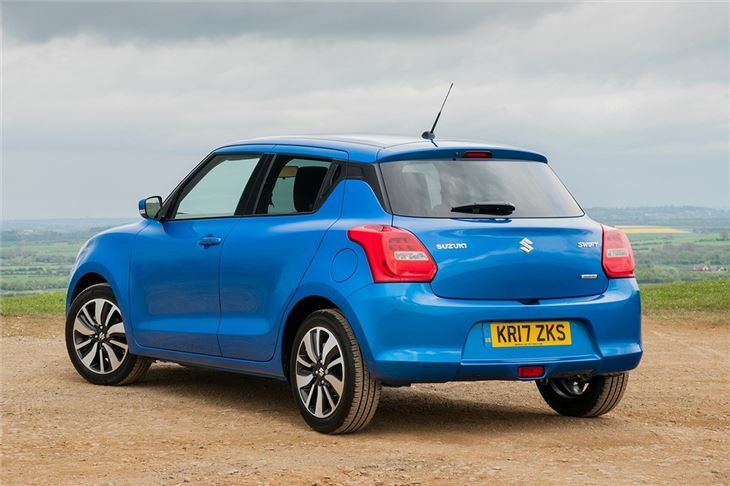 The Suzuki Swift is easily one of the best small hatchbacks around. Forgive some slightly cheap looking interior plastics and a slightly small boot and there’s really nothing else to pick fault with – the driving experience, running costs, price, and equipment levels make it a superb buy. Great fun but let down by comfort / build quality. The best automatic supermini ever full stop.